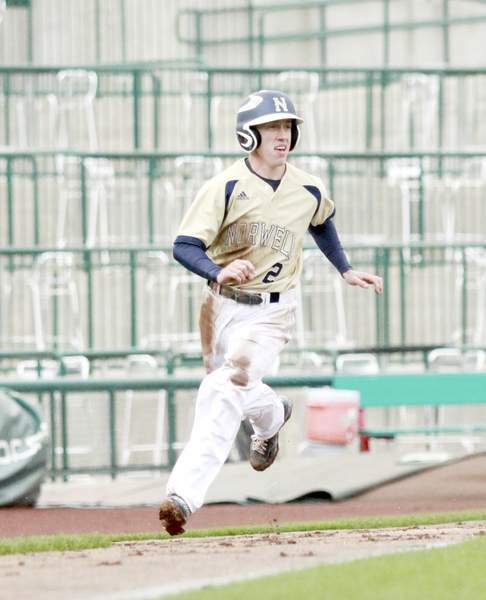 Rachel Von | The Journal Gazette Norwell’s Alex Hunter runs home from third base during Monday’s game at Parkview Field. Rachel Von | The Journal Gazette Leo teammates celebrate with Gunner Brown (4) and Jordan Hissong (12) during Monday’s 9-4 win over Norwell at Parkview Field. The high school teams played at Parkview as part of the Parkview Sports Medicine High School Baseball Series. 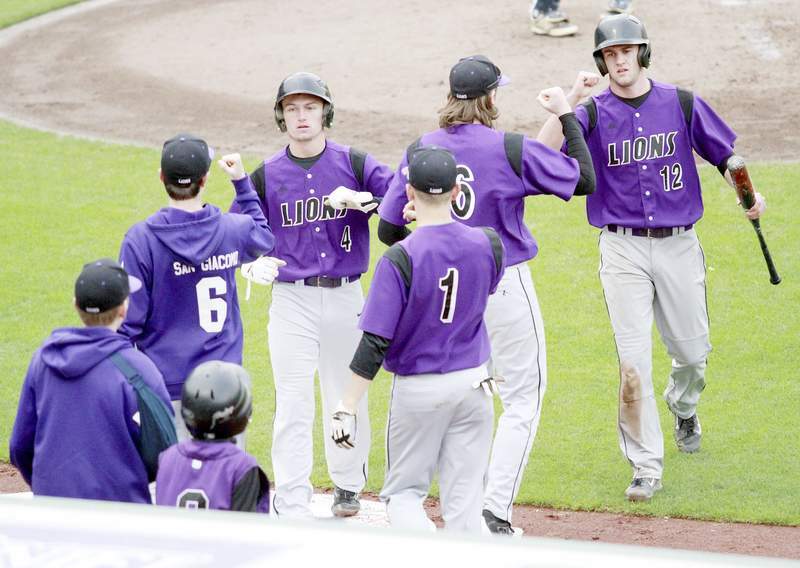 A cold, cloudy and overcast – and sometimes rainy – afternoon had some area baseball teams worried Monday afternoon. But four area teams were able to experience playing at Parkview Field on Monday evening in the first of 12 high school games to be played in the facility. The games are part of the Parkview Sports Medicine High School Baseball Series. Parkview Field has played host to high school games for six years but had to take a break due to the field being replaced in 2012. For TinCaps president Mike Nutter, the feedback he’s gotten after the first year of the series, which started in 2014, and after Monday’s games has been positive. "They’re still saying those things. That’s really cool for us." Since the series is sponsored by Parkview Sports Medicine, the facilities are free for the schools to use and $1 from the $5 admission fee goes back to Parkview Field’s stadium improvement fund. "This is good for the kids," Leo coach Dave Boyce said. "It’s a good thing that Parkview Field does and the TinCaps do. It’s a phenomenal facility and getting this opportunity is just great. The kids love it. So when you come here and get to play, that’s a big plus, and then to win is just icing on the cake." Leo beat Norwell 9-4 in the first game Monday to improve to 7-0 this season with a full schedule for the rest of the week. Homestead beat Blackhawk Christian 5-2 in the second game. "It means a lot to me because Norwell’s a good ball team," Leo senior Chase Kinslow said, "so getting a win out of this was really nice." Kinslow was really worried that the games would be canceled. "Looking at the weather at the radar really worried me because I didn’t think we’d get this game in," he said. "Once we got here, I knew that we’d play, that they’d find a way to get us in." Leo opened scoring with a run in the second inning from Ryan Lantz’s RBI single to bring home Ty Sproat to take a 1-0 lead. Norwell equalized and took the lead in the third from an RBI double by Ryan Tomlin followed by an RBI single from Nathan Allison to bring home Zack Kintz. The Lions got seven runs between the third and fourth innings to take a 8-4 lead. "We were just lucky to get some things going for us and our kids battled, scrapped, got down in some counts but they fought through that and did some great opposite field hitting and we took advantage of that," Boyce said. "When we really needed it, we started playing a little better defense and started to make the routine play." High school games continue at Parkview Field today and Wednesday and again May 2, 4 and 5.